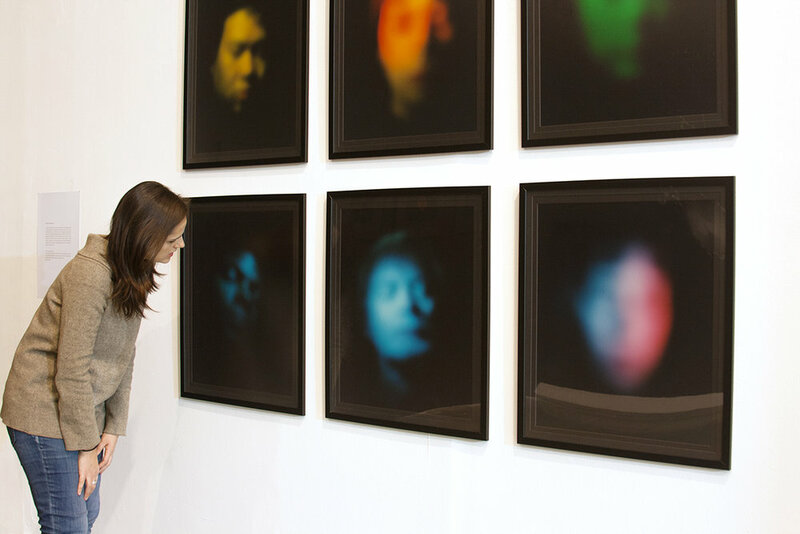 Luminous Numinous explores the concept of the soul in portrait photography presenting the sitters as the light radiation of a transpersonal energy. The series has been conceived to go beyond the indexical relation between photography and the material identity of individuals. The intention behind Luminous Numinous is to address metaphysical questions about the phenomenology of existence in relation to visuality and photography: Are we just the matter that we see? Is it possible to photograph the soul? Can a numinous force define who we are? Could we be creatures made of luminous energy? And as such, Are we beings of light? In this work, light is the medium and the subject. It adopts a dual nature that enables a wider conceptual and aesthetic flow compared to conventional portrait photography. As it happens in Renaissance painting, the light in Luminous Numinous has a strong allegorical meaning signifying truth and divinity. But the connection between light and the soul hasn’t been made in this instance by using light as a device to set the spiritual mood of the person portrayed. Light has been treated as the raw substance that the characters — I believe — are made of. Therefore, facial features have been transposed into coloured light radiation to figuratively manifest our transcendental nature that remains yet unseen to the human eye. The people portrayed in Luminous Numinous don’t belong to a common demographic group or social condition. They are random people from different backgrounds, age segments, nationalities, sexual orientations, beliefs and political affiliations. The selection criteria to invite people into the project was the spiritual intensity perceived by me during the different encounters I have had with them. Despite their differences, they were brought together under the same spotlight to be part of a common introspective experience. The photographic sessions were meant to provoke an encounter between the soul of the person photographed and the soul of the final observer. In my creative process, the photographic emulsion serves as the connective tissue between these two realms. From that encounter, luminescence energy would be channelled from the subject into the final analogue print without losing its divine quality. In this photo-alchemical process, portrait photography precepts such as sharpness and eye contact were deliberately overruled by optical diffusion and the sitter’s disconnection from the photographer’s gaze. These decisions were informed especially by the creative approach of the artists Bill Armstrong and Bill Jacobson. They both pursue the optical disconnection of their subjects from their earthly visuality in order to open a window into the supra-materiality of the worlds they photograph. With the same intention, the lens of my medium format camera created a liminal visual space between the concrete and the abstract; between the material world and a spiritual universe. In this optical threshold, the light spectrum of existence was dispersed by the camera lens, acting as a prism to allow the true colours of the sitters to be revealed. Throughout History, image-making has been connected to key existential topics such as the divine nature of human beings, the mystical outreach of the psyche, and the connection with supernatural entelechies. Despite the current secularisation of the visual arts in the West by the brutal regime of politics and technic, I firmly believe that contemporary photography retains an inherent mystical potency. Even nowadays, it is possible to create images through photographic means that serve as transcendental maps of meaning to navigate the mysteries of existence alongside reason and science. In my work, photography is used not to evidence any empirical truth, not to answer any question, not to support any belief but as in Carl G. Jung’s words, ‘to cultivate thoughts that can never be proved’.